Maureen made us a delicious “P.S. 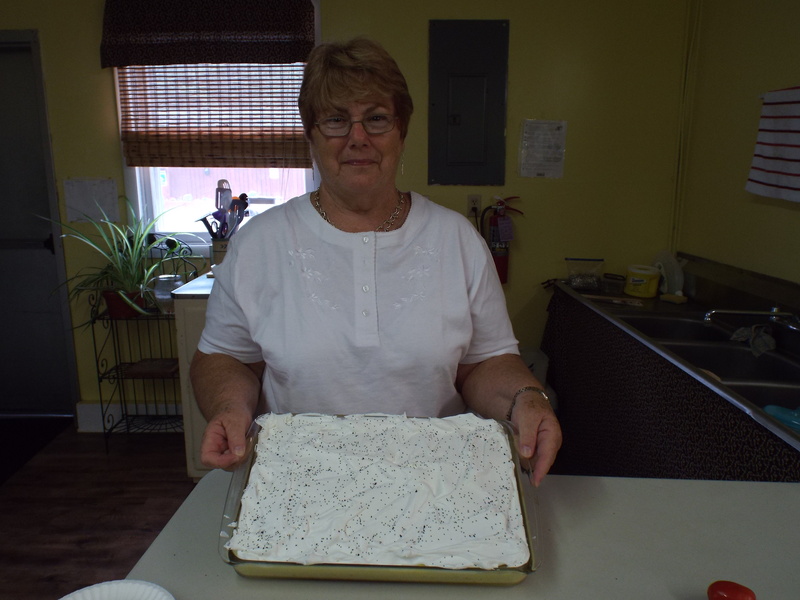 I Love You” cake with poppy seeds, coconut, and bananas! Yum! More Maureen, more please! It was a great cake and we loved it! 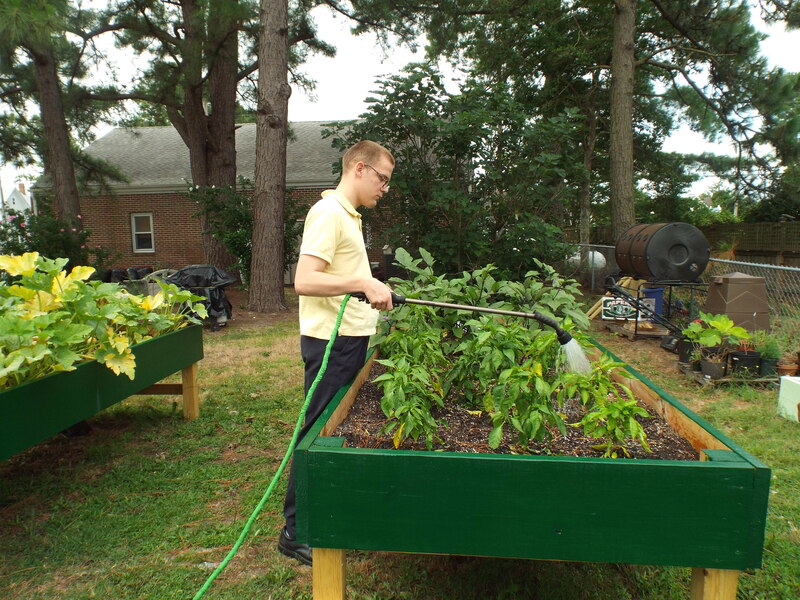 Brandon watering the pepper plants. Water on Brandon with your bad self! Good job on watering the plants! 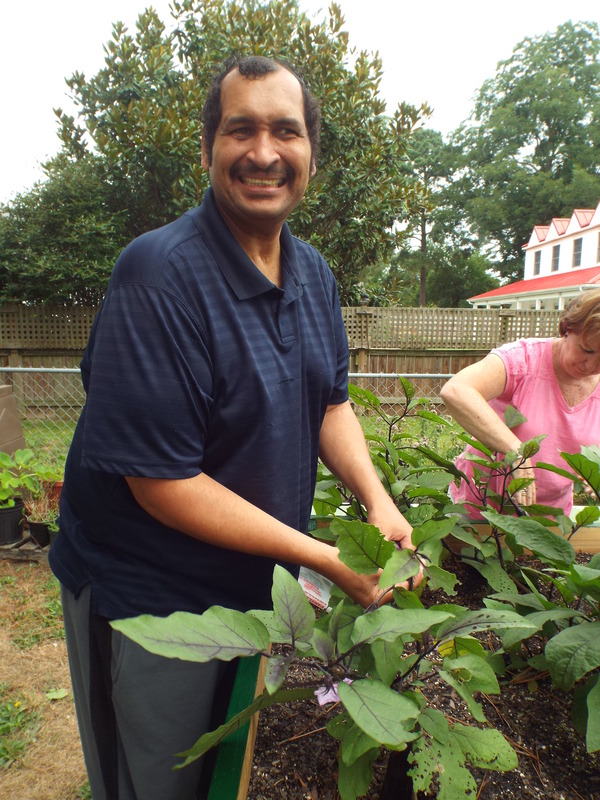 Zel picking an eggplant from our garden. Pick on Zel, pick on! Pick one for me please! 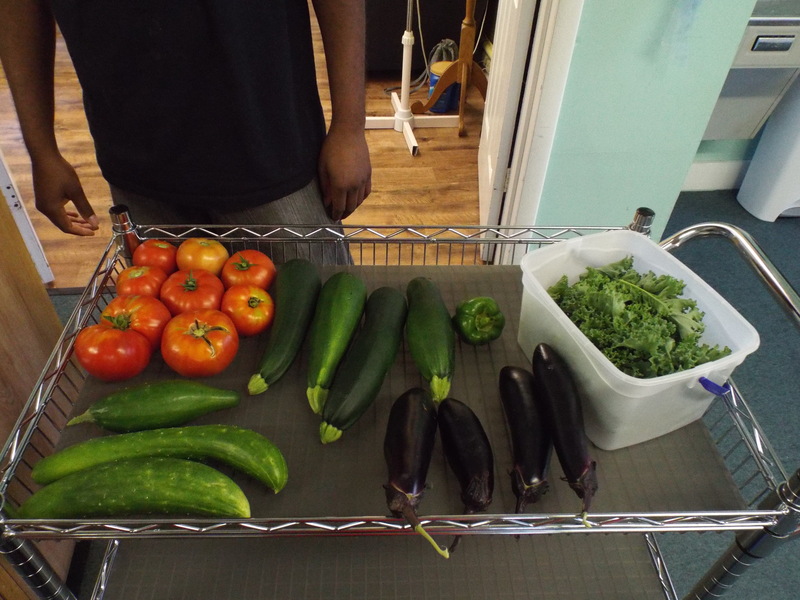 Look at the beautiful produce we harvested from our Community Garden! DJ says that the cucumbers he took home were awesome! 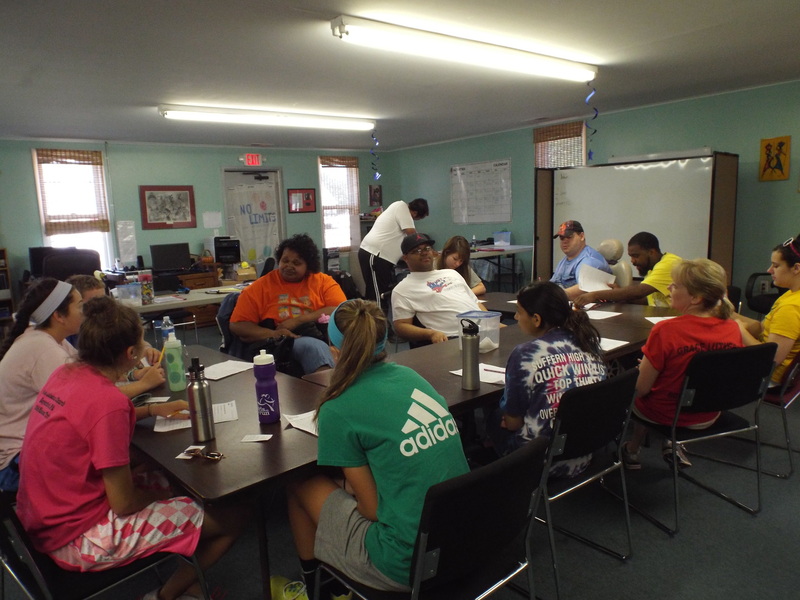 The students from YouthWorks joined us again this week. 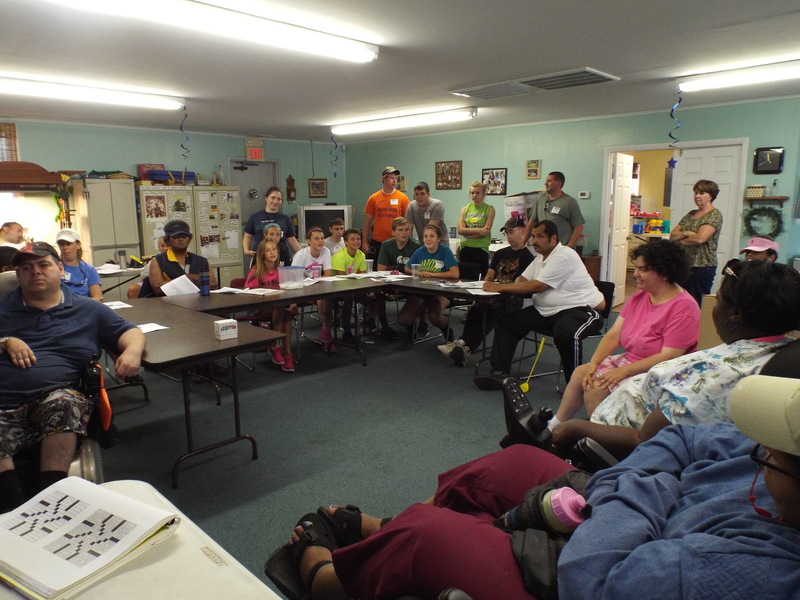 In this picture we have the whole group working together to solve a puzzle. We thank you all so very much for your help! 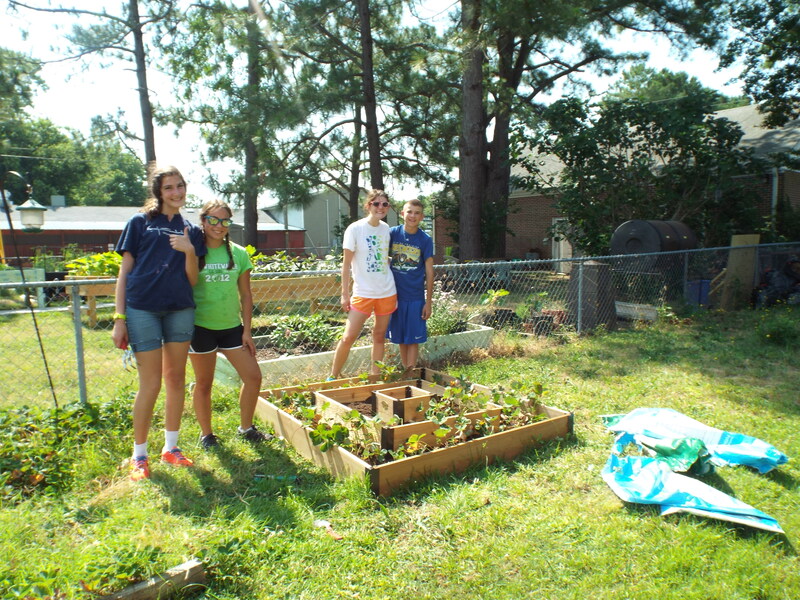 In this picture Maryann and Genevieve from YouthWorks are planning out how they would like to decorate the garden box. Look at how awesome it turned out! You did a wonderful job Genevieve! Thank you so much! 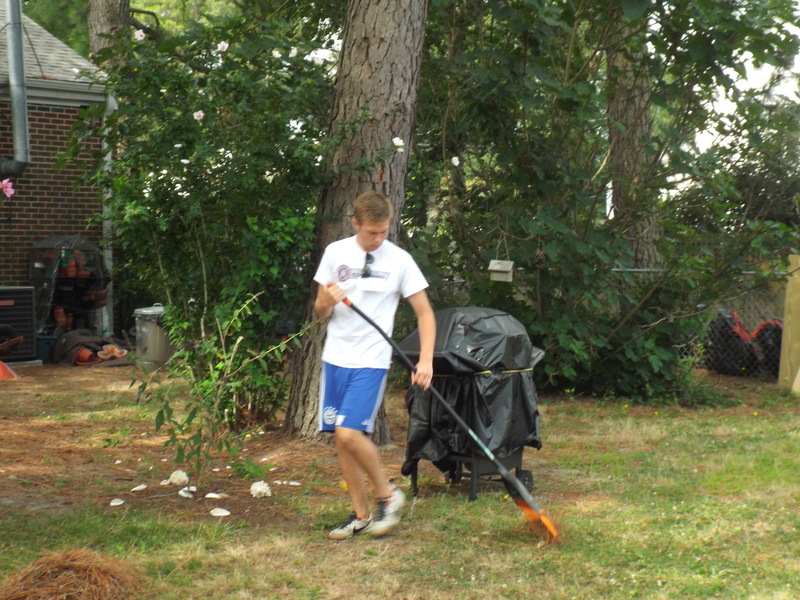 Another picture of one of the YouthWorks students helping us to rake up the yard. 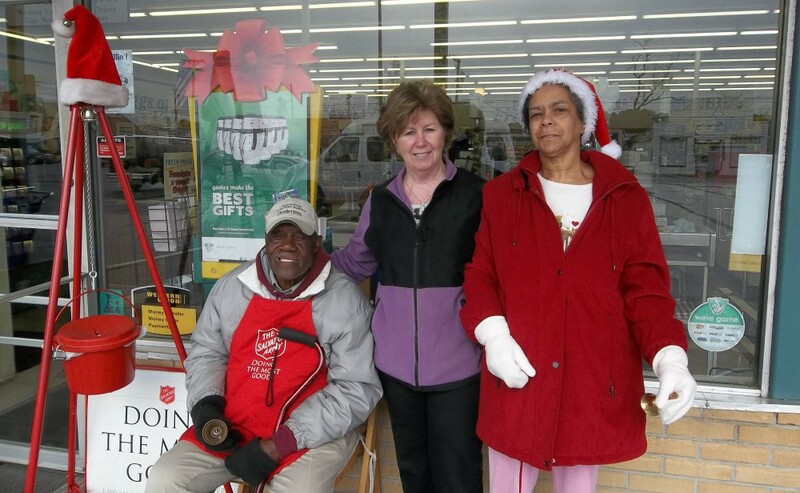 John would like to thank all of you for coming here and helping us to keep our yard beautiful! 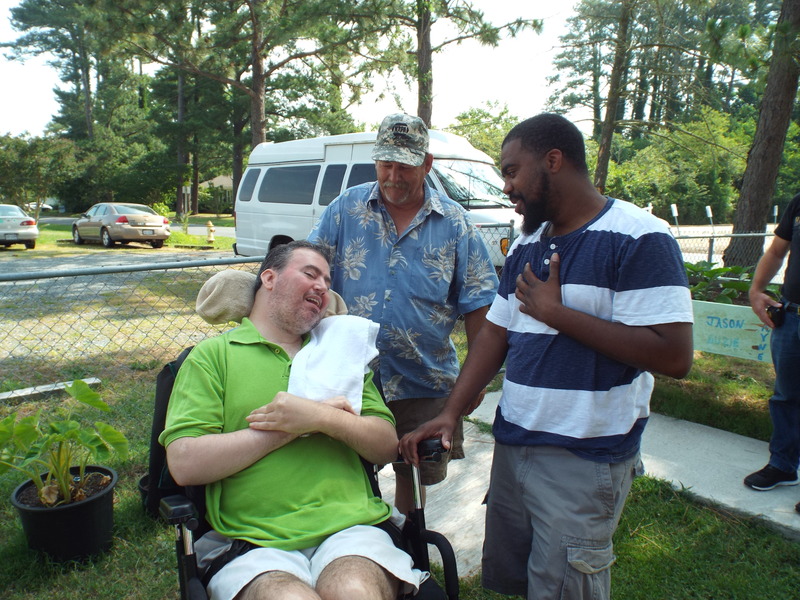 John and David dehydrating some fresh herbs from our garden with the help of Maryann and John’s wife Liz. Dehydrate my people, dehydrate! Look at John and David go! 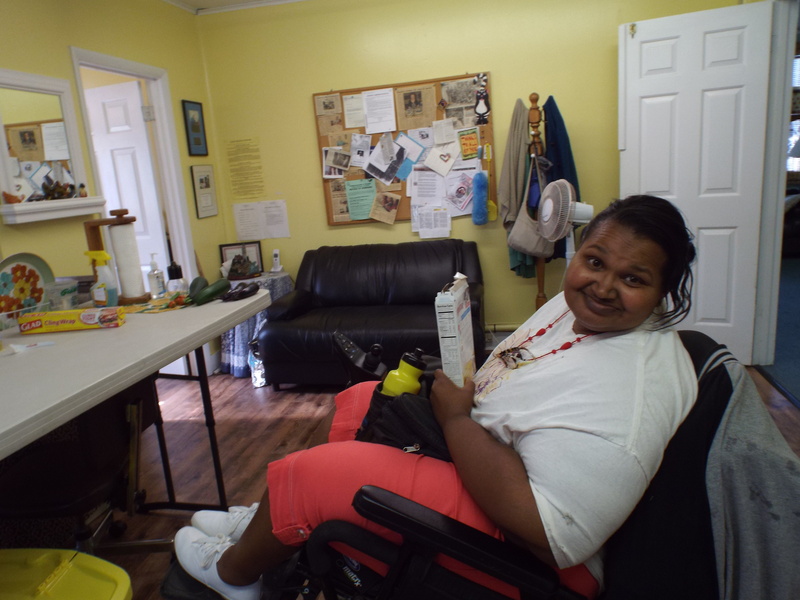 Amy reading the instructions on how to make corn muffins for our lunch making day. Read on Amy with your bad self! I bet they taste great! 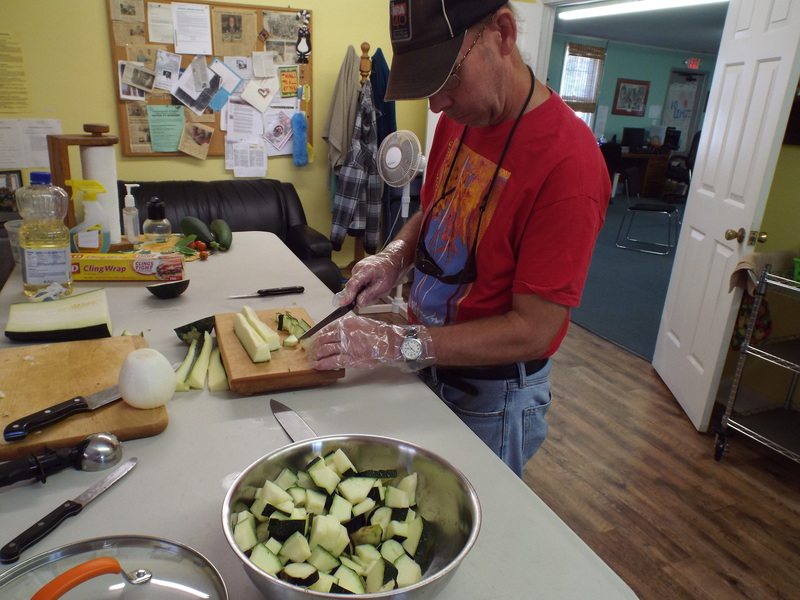 David cutting up some zucchini to cook for our lunching making day. Chop chop David, chop chop! 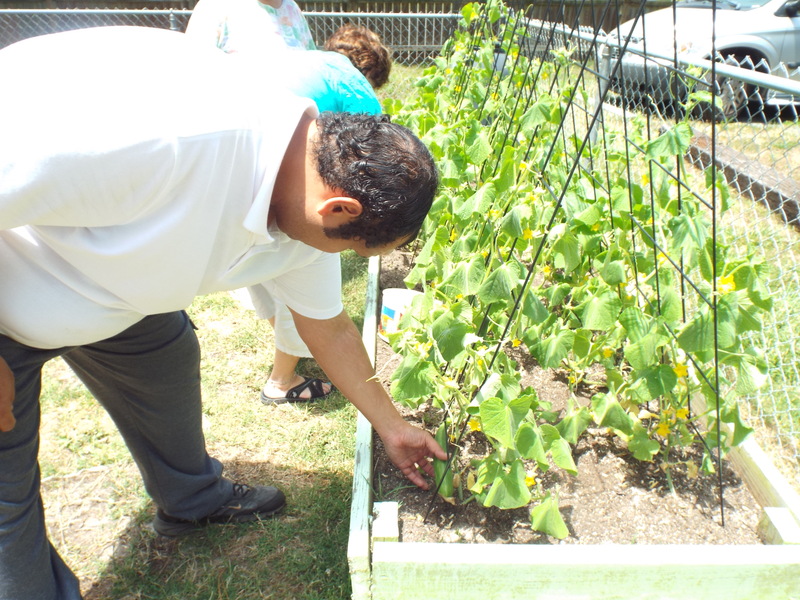 We used squash, zucchini and eggplant from our Community Garden. 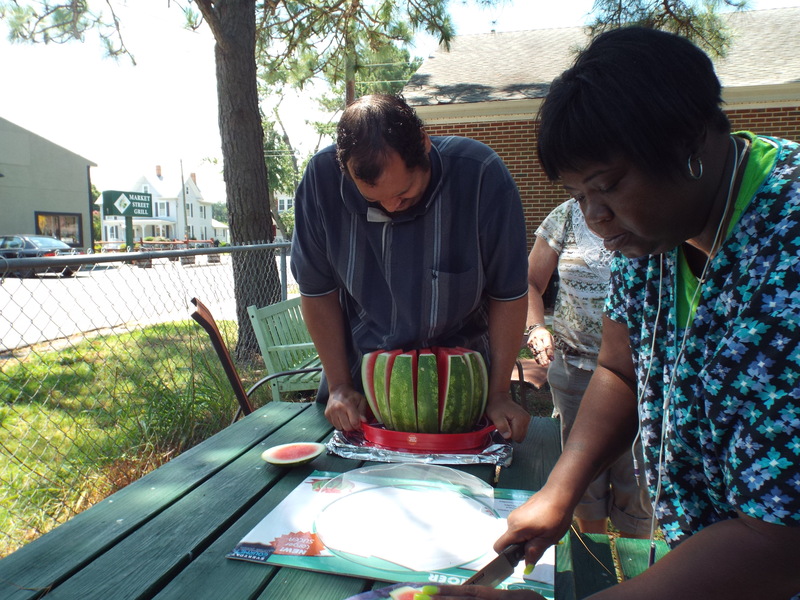 Zel cutting watermelon with our brand new watermelon slicer! Don’t hurt the melon Zel and save a slice for me please! A picture of the SCRUMPTIOUS food we made for our monthly lunch making day! 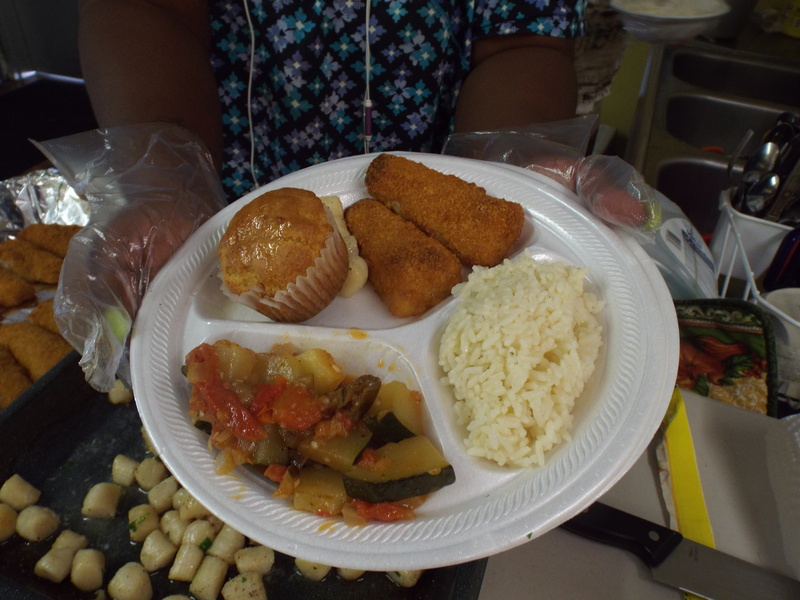 We had fried fish fillets, scallops, stewed zucchini and eggplant with tomatoes, rice, and corn bread muffins. Yum yum yum!!! Thank you John Evans for donating the delicious scallops! Each month at No Limits we have a contest where everyone tries to guess how much candy is in the jar. Count on my people, count on! 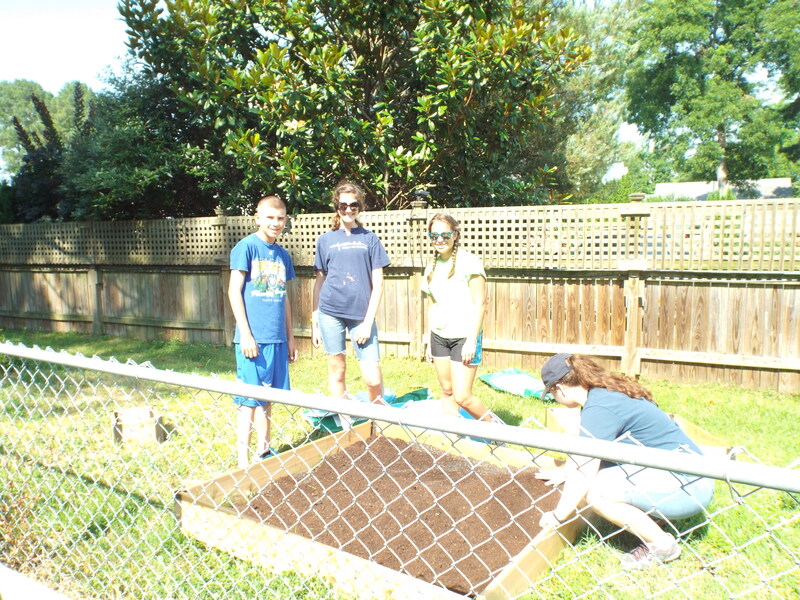 In this picture we have a group of the YouthWorks volunteers from the week of July 8th putting the finishing touches on our new, raised strawberry beds. 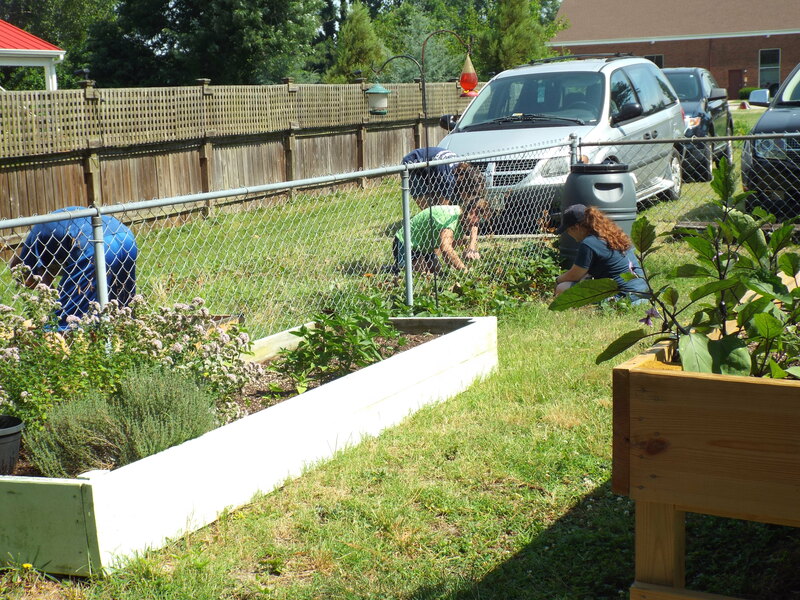 They even transplanted our established strawberry plants into the new boxes. Check out the final product! 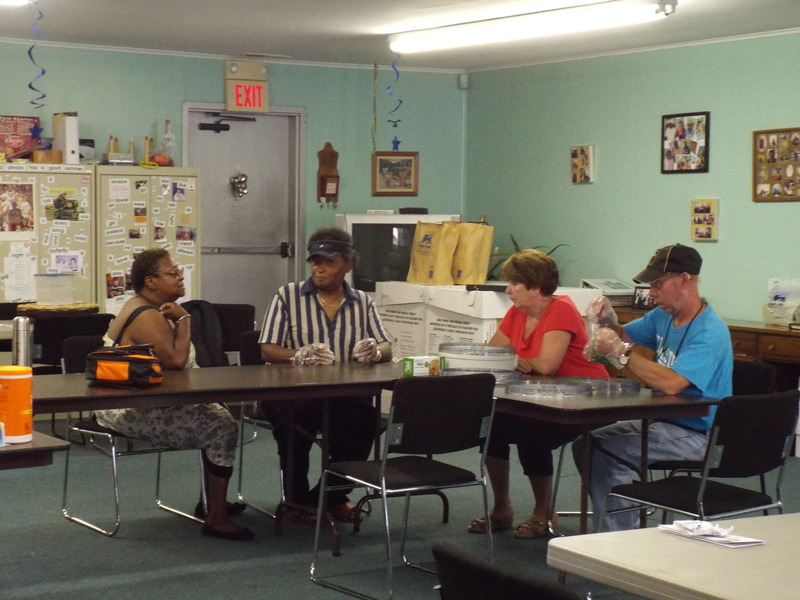 Some of the volunteers joined us inside for our morning activity. It was fun working with y’all; come back to see us soon! 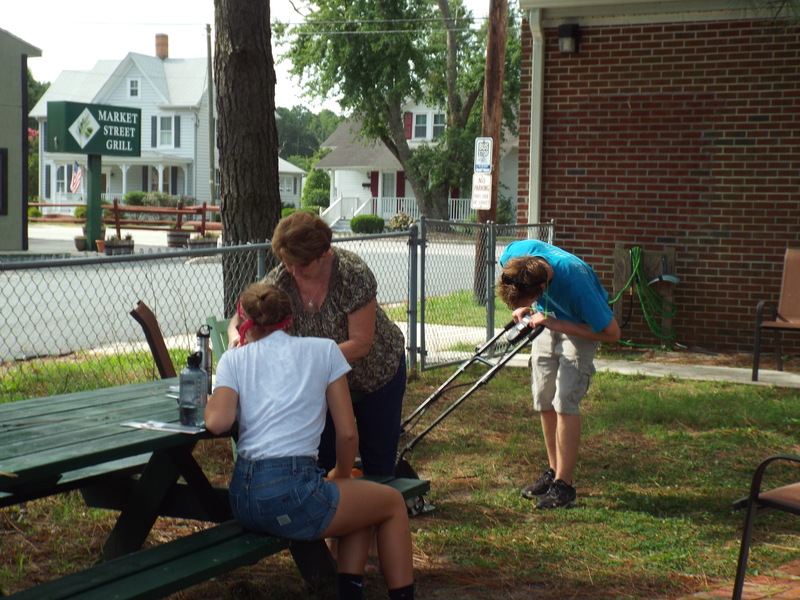 Another group of YouthWorks volunteers from the week of July 15th helped us repaint our No Limits sign out front! 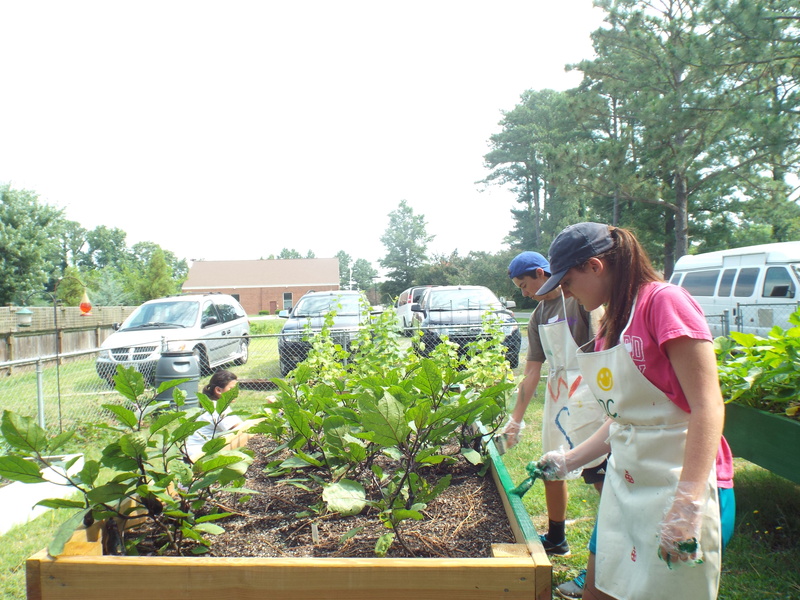 They also helped us to paint our new, raised garden boxes! Looks great guys! 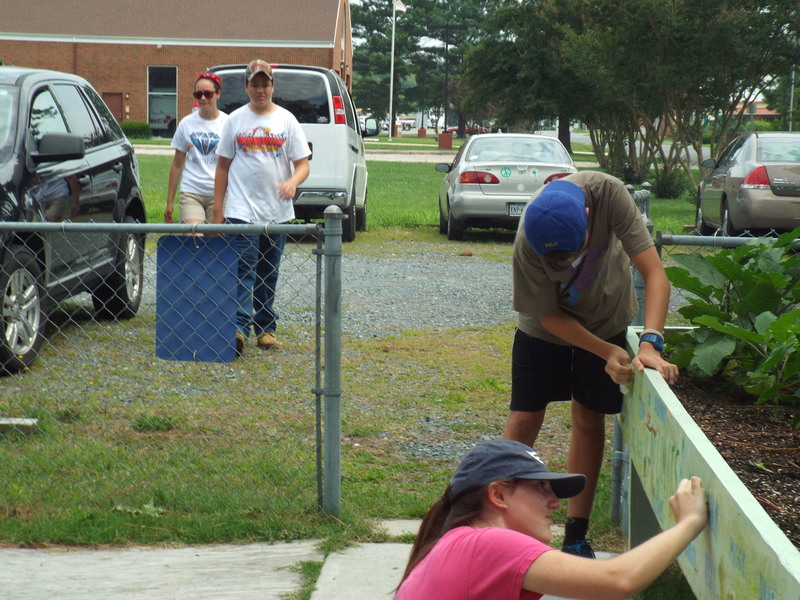 Another picture of the YouthWorks volunteers helping to retouch “BB” one of our original garden boxes. Amy says that BB stands for Bob the Box! 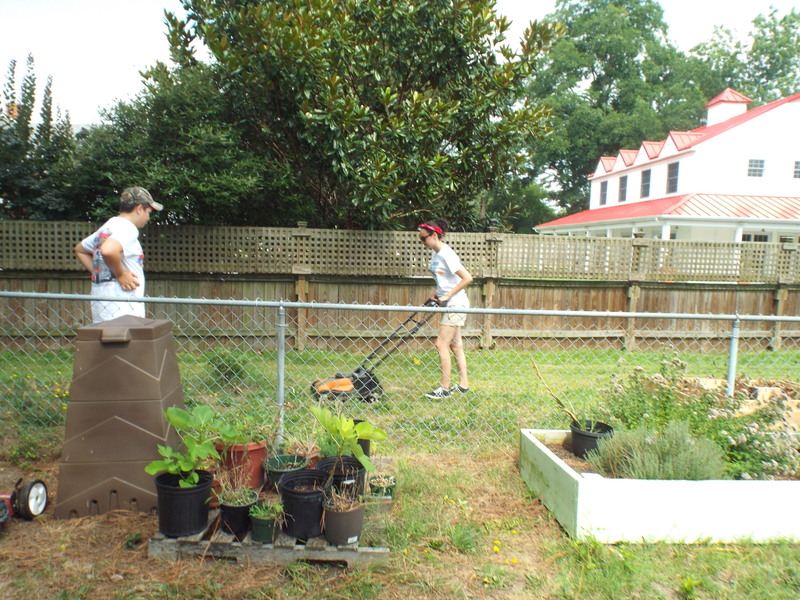 Another picture of the volunteers from the week of July 15th helping to mow the yard! Mow on y’all, mow on! 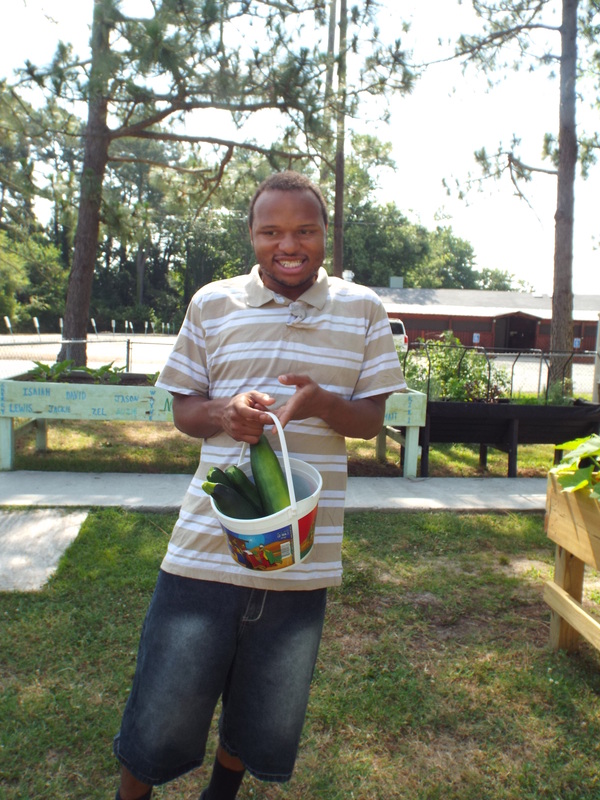 Zel picking cucumbers out of our garden! Mmm they look good! Pick on Zel, pick on! 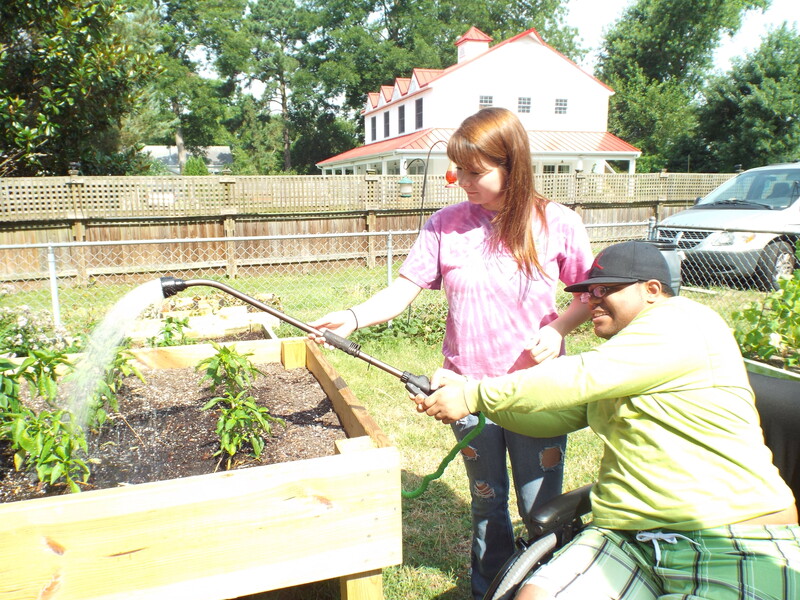 Our newest participant, Terrance, watering the pepper plants with the help of his aide Brittney! Terrance says to shoot for the moon, because even if you miss you will land among the stars! Steve telling Chris and Jason funny jokes and making everyone laugh. Hahaha more jokes please Steve! 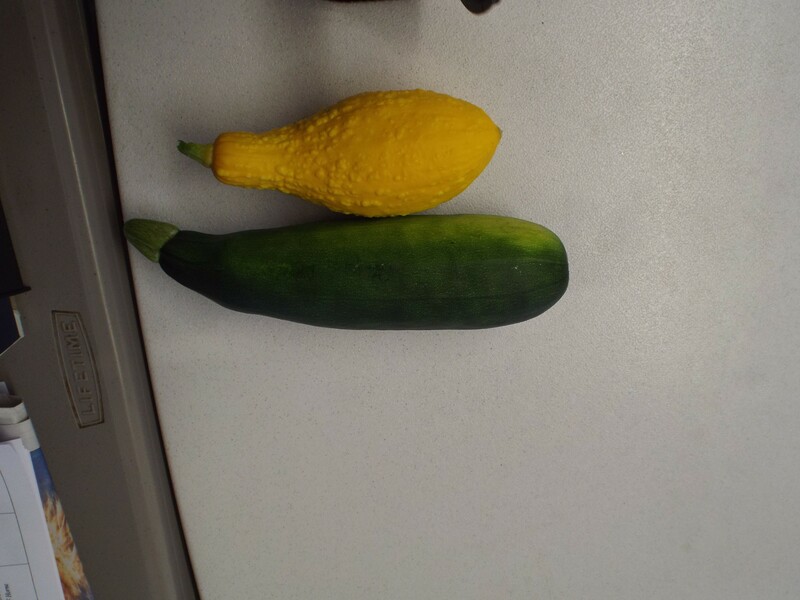 Look at what can be found in our garden – fresh squash and zucchini! Yum, yum, yum goody! 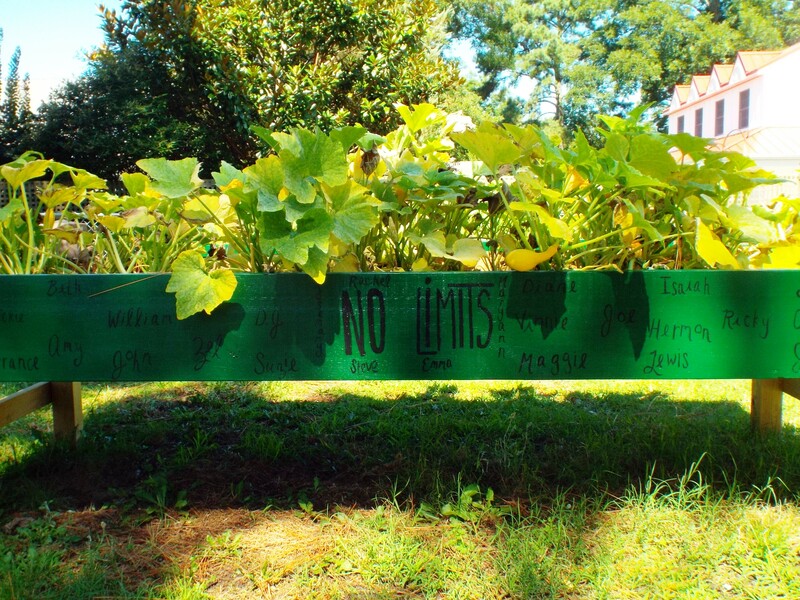 Zucchini and squash are the bomb! 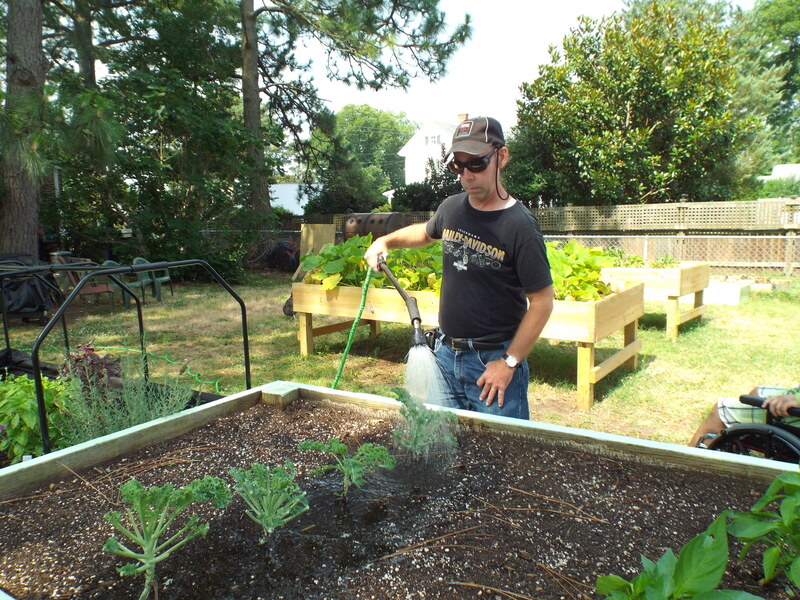 David watering the kale plants! Water on David with your bad self! 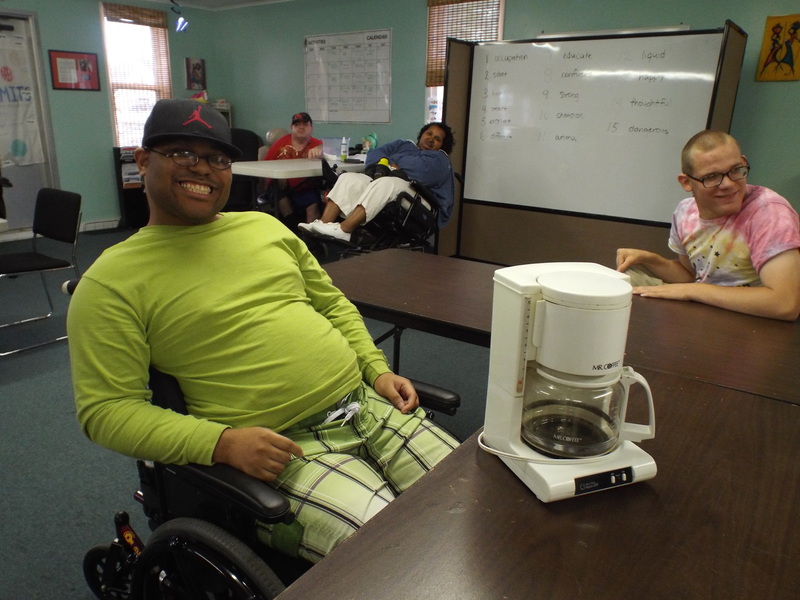 We bought a new coffee pot and had a raffle to give away our old coffee pot…Terrance won! 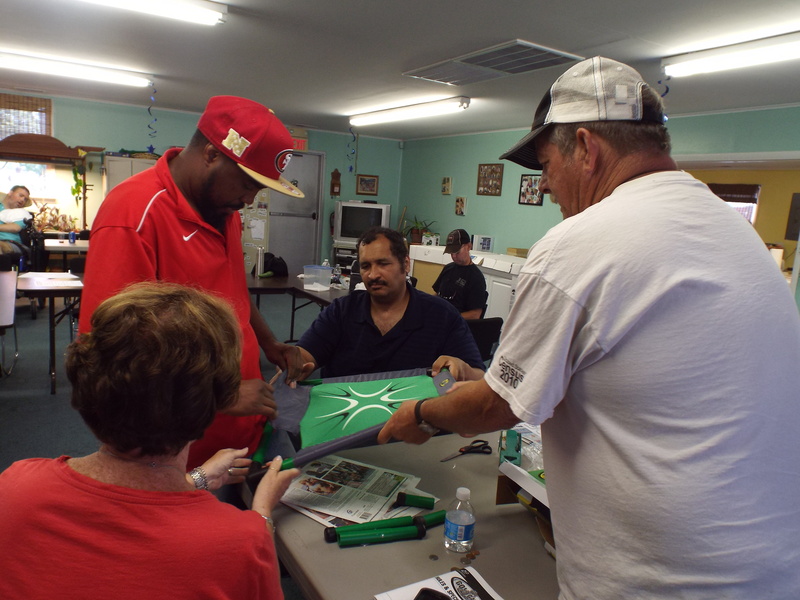 Terrance says he can’t wait to use it in his bedroom! 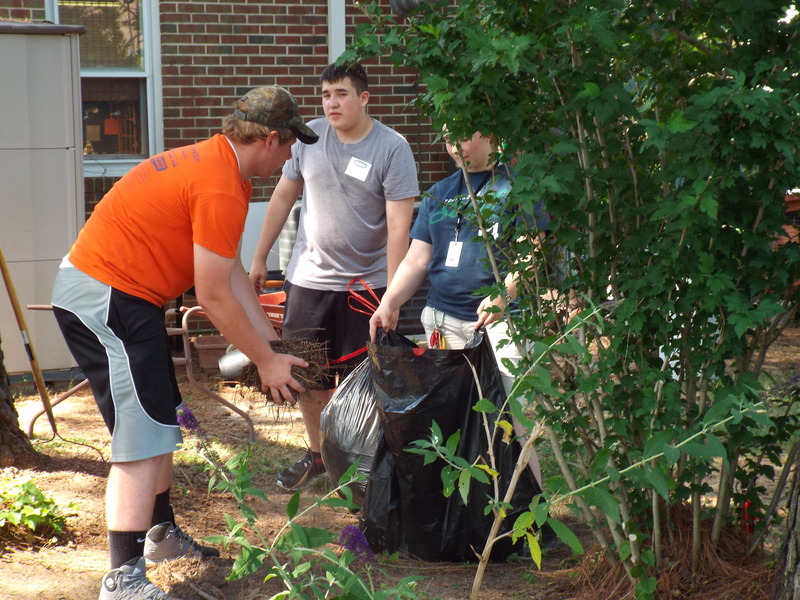 We would like to thank the students from YouthWorks again for helping us keep our yard looking beautiful! Work on YouthWorks, work on! 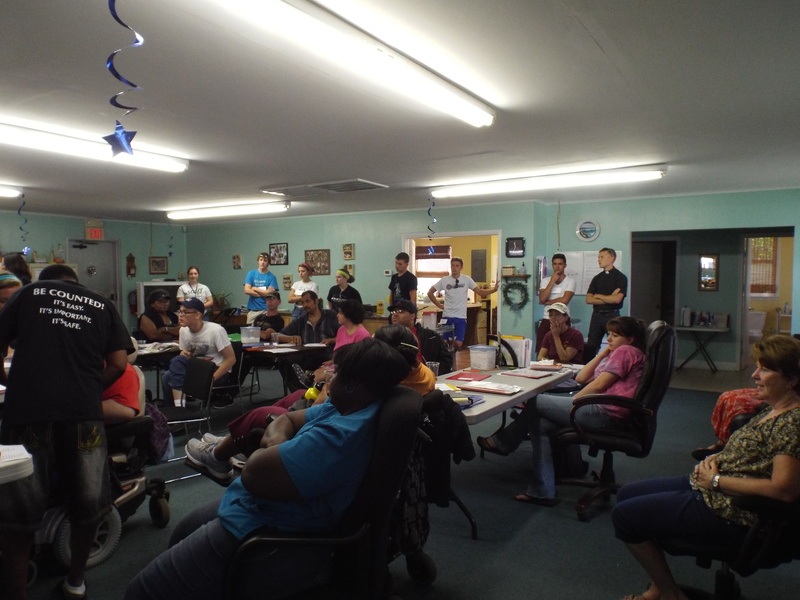 This is a group photo of the students from YouthWorks working with all of us here at No Limits to solve a difficult crossword puzzle! OOOH! It was so hard! Thank you all for helping us! 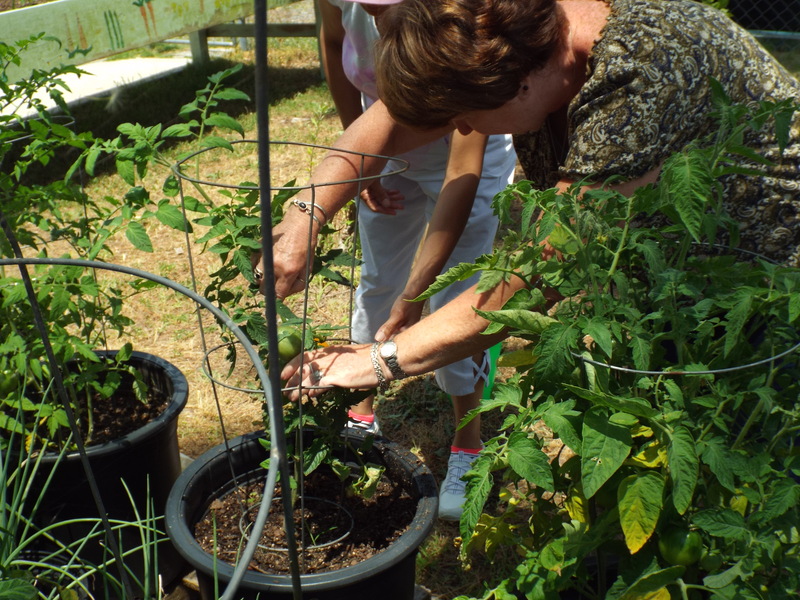 Diane and Maryann picking our first tomatoes of the season! Pick on ladies with your bad selves! Pick, pick, pick – pick more please! Men hard at work! 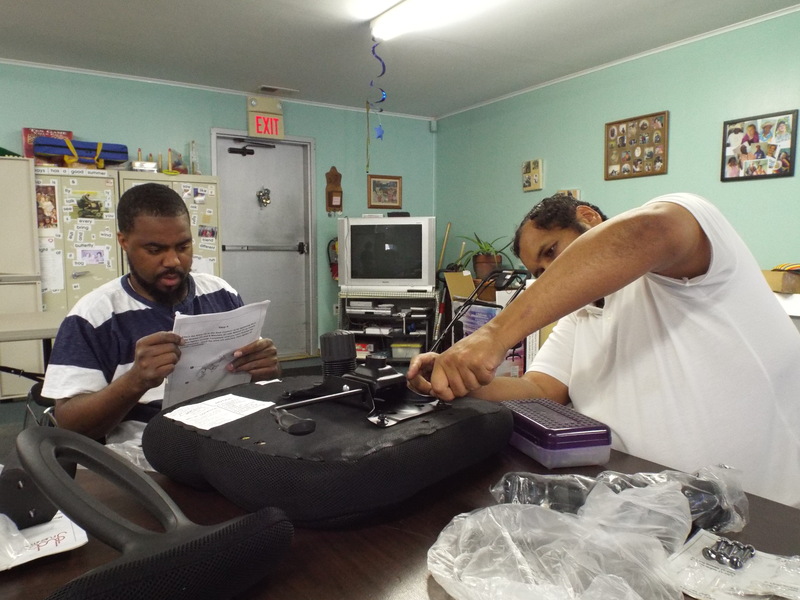 Steve and Zel built a new office chair this week! Wow, look at what DJ has! Freshly picked zucchini from our garden! Yum! 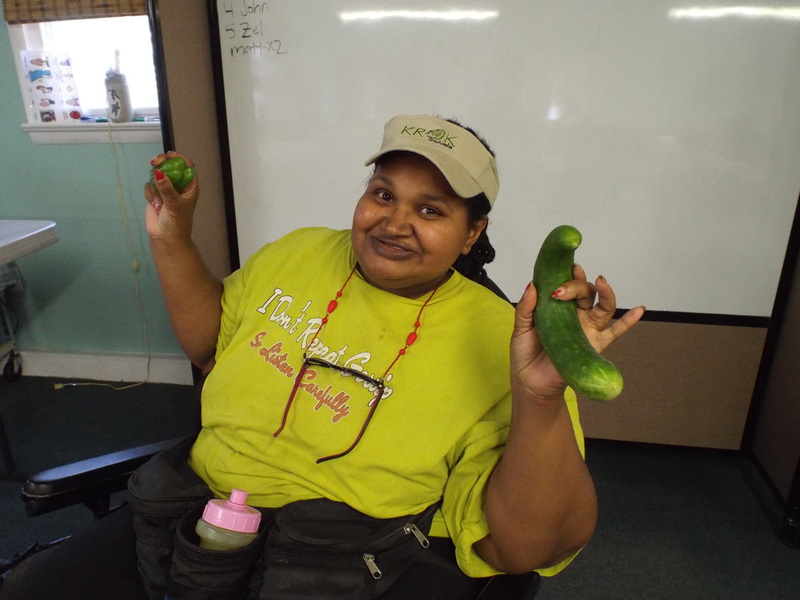 Amy is so excited to take home a fresh cucumber AND a fresh pepper from our garden! BOO YAH! 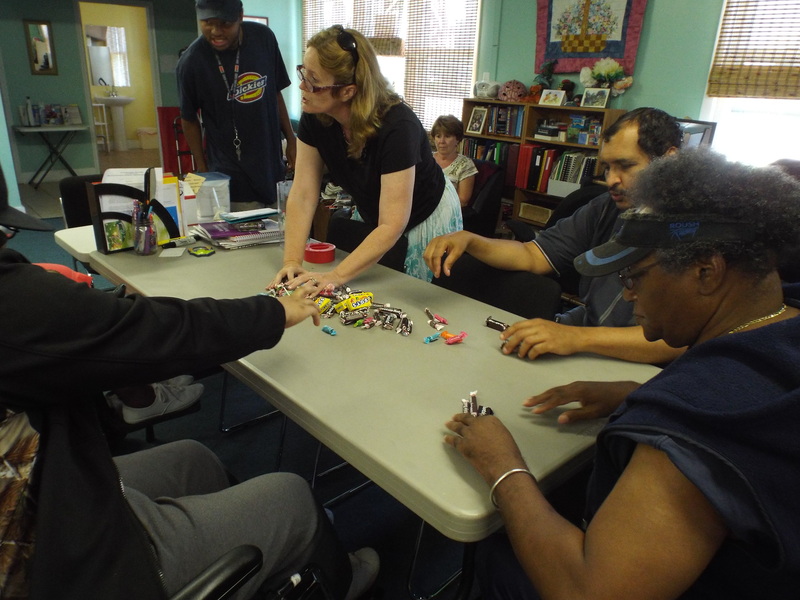 Maryann, Steve, Zel, and Chris working together to build a new activity board in order for us to work on our gross motor skills! They did a great a job too! 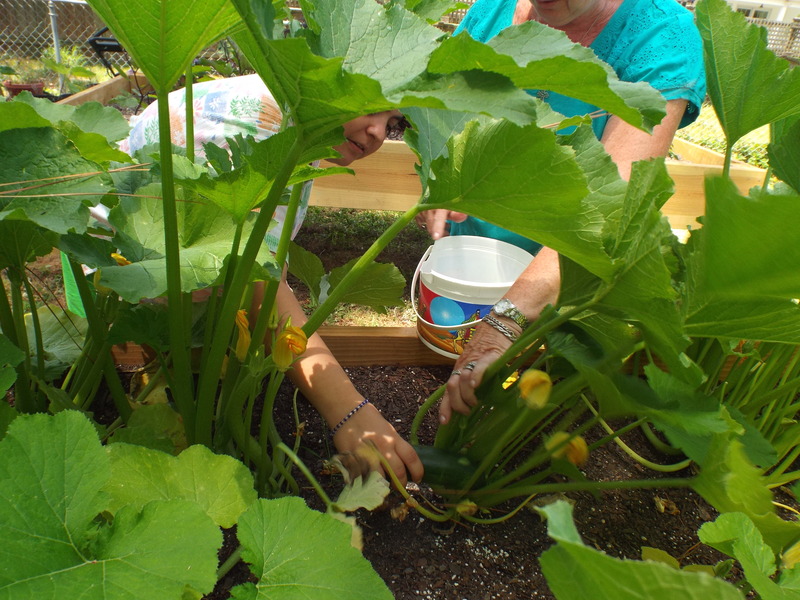 Beth gathering some zucchini from the garden with Maryann. Gather on Beth, gather on!